adadiyyah (pl. `adadiyyat) Countables i.e. things which are measured in individual units rather than by volume, weight, or length. An example of `adadiyyat are eggs which are customarily purchased in unit, (half dozen, dozen, etc.) rather than by weight. `adl `Adl is a general term which conveys the meanings of justice, equity and fairness. `amil One who performs a task, an agent. One who deserves compensation for some task which he does, such as the mudarib (manager) in a mudarabah contract or a zakat collector. `aqar Real estate; Immovable property such as land, buildings, trees and so forth. `aqd `Aqd is a central term in Islamic financial law, which essentially means, "contract." `arif An expert who is consulted in situations which require an impartial, informed decision, such as the appraisal of property. `ariyah A contract in which one party loans another the use of some item for an indefinite period of time. Ariyah is generally used to refer to the neighborly lending of small articles. `ayn `Ayn is term used by the classical jurists to refer to currency or ready money. The term `ayn refers to gold, silver, coins, notes and any other form of ready cash. `Ayn is often contrasted with dayn. `inah A sale in which a purchaser buys merchandise from a seller for a stipulated price on a deferred payment basis and then sells the same merchandise back to the original seller for a price lower than the original purchase price. Ajr Generally ajr means compensation or wage. In an ijarah (lease) contract, the ajr is the price paid by the hirer to the hired party in exchange for the services which the latter renders. akl al-suht Unlawful acquisition of wealth. time by one party, such as a cook or a servant. al-ajir al-mushtarak A worker, such as a tailor, who offers his services to many and thus may be contracted by several clients at once. al-ajr al-mithl The prevailing rate; the price which is normally paid for a given service. al-akl bi l-batil Unlawful acquisition of wealth. al-amin al-`amm One who has been entrusted with the property of another for a reason other than safe-keeping (wadi`ah), such as a tenant who rents an apartment or the mudarib in the mudarabah contract. al-amin al-khas One who has been entrusted with the property of another and is responsible for it, as is the case in the wadi`ah (safe-keeping) transaction. al-amwal al-ribawiyah The six kinds of substances (gold, silver, dates, wheat, salt and barley) which, when exchanged in kind, must be exchanged in equal measure and with immediate transfer of possession. If these conditions are not met, then the exchange is considered to be riba (interest). al- kharaj bildaman The Islamic legal principle that means entitlement to revenue follows assumption of responsibility. Profits, therefore, are based on the ownership of, and responsibility for, capital. al-hajjah al-asliyyah Lit: Basic needs. Tech: In relation to the law of zakat, the shariah has exempted those assets which are required to fulfill one's basic needs. Also spoken with regard to economic role of the Islamic state. The Islamic state is responsible to provide for the basic needs of all citizens, should some of them fall short of the means. amanah Trust, with associated meanings of trustworthiness, faithfulness and honesty. As an important secondary meaning, the term also identifies a transaction where one party keeps another’s funds or property in trust. This is in fact the most widely understood and used application of the term, and has a long history of use in Islamic commercial law. By extension, the term can also be used to describe different financial or commercial activities such as deposit taking, custody or goods on consignment. arbun Earnest money/Down payment; a non-refundable deposit paid by the client (buyer) to the seller upon concluding a contract of sale, with the provision that the contract will be completed during the prescribed period. ayah The term refers to a passage from the Holy Qur'an. bai al-dayn Sale of debt or receivables. bai al-'inah A loan in the form of a sale, called 'inah (facade) because it is a sale in appearance only. This is accomplished by one's buying back what one has sold for a lower price than that for which one originally sold it. The difference, ostensibly profit, is actually a loan. bai al-wafa' A sale with the right of redemption, literally, a sale of honour. Typically, such a sale takes place when a commodity is sold on the condition that the seller be allowed to redeem the commodity upon paying its price; and the buyer agrees to honour the condition. bai al-bithaman ajil Deferred-payment sale, credit sale. batil Void, invalid. Said of a transaction, a contract which governs a transaction or an element in a such a contract when they are null and void. opp. sahih. bay` Sale; an agreement between two parties (the seller and the buyer) to the effect that the ownership of the sale item is transferred from the seller to the buyer in exchange for a price. bay` `ajil bi-ajil Lit.Delayed-for-immediate sale. A type of sale in which the sale price is paid immediately and delivery of the sale item is delayed. Syn. bay` al-salam. bay` al-kali bi-kali (Lit. Sale of a debt for a debt) Bay`al- kali' bi-kali' is a type of sale which is prohibited. Islamic jurists use this term to describe several different types of debt-for-debt exchanges. The most well-known of these is the exchange in which a lender extends his debtor's debt repayment period in return for an increase on the principal i. e. interest. The term kali' is a synonym for debt. bay` al-salam Deferred delivery sale; A type of sale in which the sale price is paid immediately and delivery of a specified sale item is deferred for a stipulated period. Syn. salaf. bay` bi-thaman ajil Deferred payment sale. Some Islamic banks carry out a transaction of this name in which goods are requested by a client, purchased by the bank and then sold to the client at an agreed upon price which includes the bank's mark-up profit. Often the client is offered the option of paying in installments. This is essentially identical to the murabahah financing used throughout the Islamic banking sector. Syn. bay` `ajil bi-ajil and bay` al-mu'ajjal. bay`atan fi bay` Lit. Two sales in one. A type of transaction, which was explicitly prohibited by the Prophet. The meaning of the expression "two sales in one" is explained by the fuqaha' in various ways. Also called "safaqatan fi safaqah." bayt al-mal The treasury of the Muslim Community; historically, the bayt al-mal as an institution was developed by the early Caliphs but which soon fell into disrepair. The funds contained in the bayt al-mal were meant to be spent on the needs o the Ummah e. g. supporting the needy. daman Responsibility for financial coverage in the case of destruction or damage. dayn Debt; some form of wealth which one is required to pay back to another. dhimmah Dhimmah is a basic term in fiqh al-mu`amalat which roughly corresponds to the concept of liability. A debt is said to be "established in someone's dhimmah" if he is in debt to someone else. The fuqaha' also speak about a person's dhimmah "being occupied " and "being cleared." The concept of dhimmah may be likened to a virtual liability container which it may be said that every responsible person has. These containers, it may be imagined, are constantly being filled with rights and obligations--such as the obligation to repay someone. 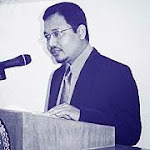 faqih Muslim jurist; A Muslim who is an expert in Fiqh; a Muslim who is knowledgeable of the rules of the Shari`ah and knows how these rules are related to the source texts upon which they are based. faqir (pl. fuqara') A poor person. faskh Undoing, dissolving, cancellation. Faskh is a term used by the classical fuqaha to refer to the dissolution of a contract or agreement. It has been described as the cancellation of a contract, such that affairs return to the state in which they were before the closing of the contract, without any addtition or subtraction. Many of the classical fuqaha' apply the term faskh to instances in which a previously valid (sahih) contract is cancelled voluntarily by the contractual parties--such as in iqalah, khiyar al-`ayb (option to return in case of a defect) and khiyar al-shart (stipulated option of return)--and use the term infisakh for cancellations which occur outside of the will of each of the contractual parties--such as the cancellation of a sale contract when the sale item is destroyed, before the seller can hand it over to the purchaser or the dissolution of certain partnerships (see shirkah) upon the death of one of the participating parties. fatwa (pl. fatawa A formal response issued by an expert faqih, called a mufti in response to a question. fiqh Practical jurisprudence, or human articulations of divine rules encompassing both law and ethics. As such, fiah may be understood as the jurists' understanding of the Shari'a, or jurists' law. fuduli A party is described as "fuduli" whenever it transacts (e. g. sells, rents, etc.) with someone else's property without the permission of the Shari`ah (e. g. wakalah). Such is the case when a party does not own the property with which it transacts and is not the wakil (authorized representative) or wali (guardian) of the true owner. For example, if a person were to negotiate and "close" a deal with a buyer in which he sold some machinery without the owner of the machinery having made him his wakeel (authorized representative) the "seller" would be described as fuduli. fuqaha pl. of faqih, qualified specialists in fiah, or jurists. gharar Uncertainty in a contract of exchange as to the existence of the subject-matter of the contract and deliverability, quantity or quality of the subject-matter. It also involves contractual ambiguity as to the consideration and the terms of the contract. Such ambiguity will render most contracts void. gharim (pl. gharimun) Orig. A debtor who does not possess the funds with which to repay his debt. According to the Hanifi jurists, a gharim is one who whose funds, after repayment of his debt, would not equal the nisab. The Shafi`i and Maliki jurists divide the gharimun into two types: 1) those whose debts were incurred in their own benefit and 2) those whose debts were incurred benefiting others. The gharimun are one of the eight groups mentioned in the Qur'an as legitimate recipients of zakah funds. ghasb The wrongful appropriation of property by force. habal al-habalah A type of sale practiced by the Arabs during the Jahiliyyah, in which the essence of the agreement between the two transacting parties, depended on a pregnant she-camel giving birth to a female calf which would subsequently become pregnant itself. The habal al-habalah transaction was prohibited by the Prophet, according to several well-known reports, ostensibly because of the extreme uncertainty (see gharar) in the essence of the contract, given that neither of the contractual parties can be even remotely certain that a pregnant she-camel would successfully give birth to a another she-camel, which would subsequently mature and become pregnant itself. hadith (pl. ahadith) A successively transmitted report of an utterance, deed, affirmation or characteristic of the Prophet Muhammad. The ahadith are the source texts by which the Sunnah is preserved. halal Permissible, lawful; said of a deed which is not prohibited by Allah, opp. haram. hamish gedyyah security deposit. An amount of money paid by the purchase orderer upon request of the seller to make sure that the orderer is serious in his order of the asset. However, if the promise is binding and the purchase orderer declines to purchase the asset, the actual loss incurred to the seller shall be made good form this amount. haqq lit. truth, right. Al-Haqq, the Truth, is one of the names of Allah. In the Fiqh of financial transactions, the term haqq signifies a right which a party possesses, for example the creditors right to payment. haram Impermissible, unlawful, opp. halal. hawalah Bill of exchange, promissory note, cheque, draft. Tech: A debtor passes on the responsibility of payment of his debt to a third party who owes the former a debt. Thus the responsibility of payment is ultimately shifted to a third party. hawalah is a mechanism which can be usefully employed for settling international accounts by book transfer. This obviates, to a large extent, the necessity of physical transfer of cash. The term was also used, historically, in the public finance during the Abbaside period to refer to cases where the state treasury could not meet the claims presented to it and it directed its claimants to occupy a certain region for a certain period and procure their claims themselves by taxing the people. This method was also known as tasabbub. The taxes collected and transmitted to the central treasury were known as mahmul (i.e. carried to the treasury) while those assigned to the claimants or provinces were known as musabbab. hawl The term hawl is used by the jurists to describe the amount of time which must pass before a Muslim in possession of funds equaling or exceeding the exemption limit (nisab) must pay Zakah on his wealth. In the case of cash, gold and silver it is one Islamic year i.e. a lunar year of app. 354 days. hibah Gift, donation. Tech: Transfer of a determinate property (mal) without any material consideration. Muslims have been exhorted by the Prophet to donate gifts to others. This is one of the important values of a Muslim society. It is intended to cultivate love and co-operation among citizens rather than rivalry and competition. hisbah Hisbah is a term used by the classical jurists, among them Ibn Taymiyyah, to describe the function of regulating the market place which is to be carried out by the Islamic authority (often called the muhtasib in this sense). Hisbah includes taking whatever steps may be needed in order to maintain a fair and orderly market place. Historically, various Islamic rulers have undertaken the duty of hisbah by supervising activities ranging from the inspection of eateries for sanitary conditions to the investigation of fraud. The basis of hisbah is the Prophet's customary inspection of the marketplace of Madinah. hukm (pl. ahkam) In Fiqh, the Shari'ah ruling (e. g. obligatory, recommendable, neutral, reprehensible, or forbidden) associated with any action. husah (lit. pebbles) A type of sale practiced by the Arabs in the Jahiliyyah and prohibited by the Prophet Mohammed in which the sale was determined by the casting of pebbles. Classical commentators mention three forms of the husah sale: 1) the seller would say to the would-be purchaser, "when I throw the pebbles in my hand, then the deal is closed and binding on you," 2) the seller would say to the would-purchaser, "I shall sell you the commodity which your pebbles hit" or 3) in a land sale, the seller would say, "I shall sell you the plot of land whose dimensions are defined by the extent to which you throw this pebble." The husah sale--like the habal al-habalah sale was ostensibly prohibited because of the gharar (uncertainty) which characterized the contract which governed it. ihtikar Hoarding; the prohibited practice of purchasing essential commodities, such as food and storing them in anticipation of an increase in price. ijara Ijara is a form of leasing in which there is a transfer of ownership of a service for a specified period for an agreed upon lawful consideration. Instead of lending money and earning interest, Ijarah allows the financial institution to earn profits by charging rentals on the asset leased to the customer. ijarah wa-iqtina Lease-and-purchase transaction; a financing instrument used by practitioners of contemporary Islamic finance in which a financier purchases reusable merchandise (e.g. airplane, buildings, cars) and then leases them to clients in return for an agreed upon rental fee (to be paid for the length of the lease period) and an agreement that the client will purchase the merchandise at the end of the lease period.. There are similar transactions of various names, among them al-ijarah al-muntaha bi-tamlik. ijma` (lit. consensus) The unanimous consensus of the Muslim Ummah on a given issue, usually as represented by the agreement of the jurists. Ijma' has traditionally been recognized as an independent source of law, along with the Qur'an, Sunnah and Qiyas (analogical deduction), by most of the jurists. ijtihad (Lit. effort, exertion, diligence) The process by which a qualified Islamic jurist (called a mujtahid) endeavors to arrive at the correct ruling on a given issue by reflecting on source texts from the fundamental sources of the Shari`ah: the Qur'an and Sunnah. iktinaz Hoarding wealth by not paying zakah on it. iman Conviction, faith or belief; the acceptance and affirmation of Allah, His Books, His Messengers, His Angels, the Hereafter and Divine Decree. Infaq Spending, normally in the path of Allah. Among the various praiseworthy types of infaq are spending on one's family, spending in preparation for jihad and feeding and clothing orphans and other underprivileged individuals. iqtisad Lit. moderation. The term is used in modern standard Arabic to denote the field of economics. Islam (Lit. submission to Allah) The religion of Allah (God) i. e. the worship of Allah alone. Islam is (1) shahadah i. e. testifying that there is no god but Allah and that Muhammad is the Messenger of Allah, (2) establishing Salah i. e. prescribed prayer, (3) paying Zakah i. e. giving a portion of one's wealth to the needy, (4) the Sawm of Ramadan i. e. fasting during the 9th month of the Islamic calendar and (5) Hajj i. e. making pilgrimage to the sacred precincts of Makkah (Mecca) in Arabia once in a lifetime if one is able. A person whose religion is Islam is a Muslim. A person becomes Muslim by declaring the shahadah i.e. " Ashhadu an la ilaha illallah wa ashhadu anna Muhammadan rasulullah" ("I tesify that there is nothing rightfully worshipped except Allah and I testify that Muhammad is the Messenger of Allah"). 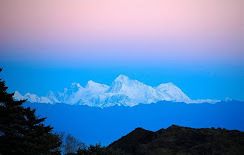 jahala Lack of knowledge or ambiguity in the terms of contract. jahiliyyah (exp. ayyam al-jahiliyyah lit. the days of ignorance) The so-called "pre-Islamic period." The period between the Prophethood of `Isa bin Maryam (Jesus) and the Prophethood of Muhammad. Jahiliyyah is the term Muslims use to refer to the era just before the coming of the Prophet Muhammad and more generally to the state of affairs which characterized this era, which was plagued by shirk (the crime of associating partners with Allah), infanticide, tribal strife, etc. ji'alah Service fee; a fee paid for any service rendered, also known as ju'l. kafalah Assumption of the responsibility for debt repayment; a standard Islamic financial transaction in which X (the kafil) agrees to assume responsibility for the debts of Y (the makful `anhu). 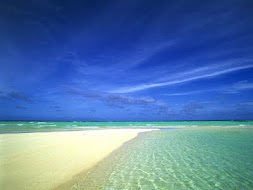 Similar but not identical to hawalah. khiyar (lit. Option, choice) the option extended to one or more of the parties in a sales contract to rescind the sale, upon the appearance of a defect, for example. The jurists have traditionally recognized several different types of khiyar, including khiyar al-ru`yah, khiyar al-`ayb, khiyar al-shart, khiyar al-majlis. khiyar al-shart An option in a sale contract concluded at the time of signing the agreement, giving one of the two parties to the contract a right to cancel the sale within a stipulated time. madhhab (lit. way of going, pl. madhahib) A fiqh school or orientation characterized by differences in the methods by which certain source-texts are understood and therefore differences in the Shari`ah rulings which are deduced from them. There are four well-known madhahib among Sunni Muslims whose names are associated with the classical jurists who are said to have founded them (Hanafi, Maliki, Shafi`i and Hanbali). makruh Lit.detested; technical term used by the fuqaha' to classify actions with regard to their desirability. Makruh is said of an action which one is rewarded for avoiding, but not punished for committing. mal Wealth, money, property; any valuable thing which can be possessed. manfa`ah (lit. benefit) The yield which a utilizable property produces. The term is often used by the fuqaha' to describe the usufruct associated with a given property, especially in leasing transactions. In an automobile lease for example, the term manfa`ah might be used to describe the benefit which the lessee derives from the use of the car for the duration of the lease (as opposed to the actual ownership of the vehicle). maqasid al-Shari`ah (lit. The objectives of the Shari`ah). The term maqasid al-shari`ah refers to a juristic-philosophical concept developed by the later generations of the classical jurists, who attempted to formulate the goals and purposes of the Shari`ah in a comprehensive manner to aid in the process of investigating new cases and organizing previous existing rulings. maysir Gambling, a game of chance. Originally a game of chance played by the Arabs before Islam, maysir came to refer to any game of chance One of three fundamental prohibitions in Islamic finance (the other two being riba and gharar). The prohibition on maysir is often used as the grounds for criticism of conventional financial practices such as speculation, conventional insurance and derivatives. miskin A poor, indigent person. The miskin is mentioned in the Qur'an as one of the recipients of zakah. mu`amalah A financial transaction. Fiqh al-mu`amalat is the traditional Islamic discipline concerned with the jurisprudence of financial transactions. mudaraba A Mudarabah is an Investment partnership, whereby the investor (the Rab ul Mal) provides capital to another party/entrepreneur (the Mudarib) in order to undertake a business/investment activity. While profits are shared on a pre-agreed ratio, loss of investment is born by the investor only. The mudarib loses its share of the expected income. mudarib: The mudarib is the entrepreneur or investment manager in a mudarabah who invests the investor's funds in a project or portfolio in exchange for a share of the profits. For example, a mudarabah is essentially similar to a diversified pool of assets held in a Discretionary Asset Management Portfolio. mufti A highly qualified jurisconsult who issues fatawa (sing. fatwa, informed legal pronouncements), usually in response to questions posed to him. mugharasah A type of agricultural contract in which a land owner and a worker agree that, in return for the worker's planting and tending of fruit-bearing trees on the land owner's field, the landowner will assign to him a share of the orchard's harvest. Both Hanafi and Hanbali jurists (the latter also call the transaction munasabah) discuss mugharasah in their fiqh works. Two valid forms of the contract have been mentioned: 1) The landowner supplies the necessary materials (e. g. twigs) and bears related expenses (e. g. fixture transportation) while the worker tends the trees for a fixed period. After the expiration of this period, the worker receives a fixed wage or a fixed portion of the orchard. 2) The worker supplies the materials and bears related expenses and receives a share of the harvest. The second more closely resembles muzara`ah. mujtahid Legal expert, or a jurist who expends great effort in deriving a legal opinion or interpreting the sources of the law. murabahah (phr. bay` al-murabahah) Originally a term describing any sale in which the seller sells his merchandise for more than the price at which he acquired it, the term murabahah is now used in contemporary Islamic finance to describe a financing scheme in which a financial institution agrees to purchase merchandise for a client provided that the client promises to purchase it from the financial institution at an agreed upon mark-up. This transaction, called simply murabahah or murabahah financing, is widely used in contemporary Islamic finance. murabaha Purchase and resale. Instead of lending out money, the capital provider purchases the desired commodity (for which the loan would have been taken out) from a third party and resells it at a predetermined higher price to the capital user. By paying this higher price over instalments, the capital user has effectively obtained credit without paying interest. musaqah A type of partnership in which the owner of an orchard agrees to share a stipulated portion of the produce of the orchard's trees with a worker, in exchange for the latter's irrigation of the garden. musharakah Partnership. A standard Islamic transaction in which two or more parties enter into any one of several related types of partnerships (see shirkah, mudarabah, musaqah, muzara`ah). In a typical musharakah agreement, two or more parties agree to provide capital (ra's mal) towards the financing of a commercial venture, share profits according to a stipulated ratio and share losses on the basis of equity participation. muzabanah Essentially, muzabanah is a transaction in which the owner of fruit trees agrees to sell his fruit for an estimated equivalent amount of the dried fruit, such as palm fruit for dates or grapes for raisins. Muzabanah was an agricultural practice known to the people of Madinah and prohibited by the Prophet (see hadith of Jabir b. `Abd Allah), ostensibly because of the strong element of gharar present in such a transaction. The special case of araya (see entry) was exempted from this prohibition. Some fuqaha', particularly Maliki jurists, use the term muzabanah to describe any sale in which the weight or volume of the exchange items is unspecified. muzara`ah Share-cropping; an agreement between two parties in which one agrees to allow a portion of his land to be used by the other in return for a part of the produce of the land. najash The prohibited practice of deceiving and inciting a potential buyer during the course of pre-sale negotiations or bidding by egging him on, either through insincere bidding on the part of a spectator (such as bidding with no intention of buying and merely in order to have the would-be buyer raise his bid), or false statements on the part of the seller himself (such as the seller claiming that the commodity is of greater value than its true worth). nisab The exemption limit for the payment of zakah. A Muslim who possesses wealth below the nisab is exempted from paying zakah, while a Muslim who possesses wealth at or above this exemption limit is obliged to pay zakah. The nisab differs depending on the type of wealth in question. PLS Profit and Loss Sharing. The term is used to describe any one of several financial schemes (but particularly the banking system of Pakistan) based on the principle of interest-free lending and featuring the use of mudarabah and musharakah (see entries) as financing instruments. qabd (lit. seizing) taking possession of the exchange commodity in an exchange transaction, such as the exchanger taking possession of the silver which he traded for his own gold. Its being immediate is a necessary condition for the validity of currency exchange. qimar A type of prohibited arrangement in which the acquisition of property is contingent upon the occurrence of an uncertain event, as is the case in gambling. qirad Qirad is a synonym for mudarabah. Qur'an the Book of Divine Revelation that was delivered to humankind by the Prophet Mohammed, peace be upon him. ra's al-mal Capital. 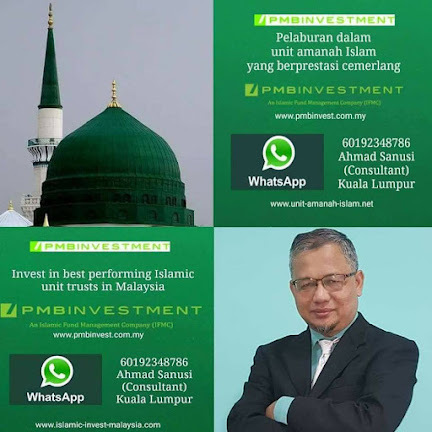 The money or property which an investor (rabb al-mal) invests in a profit-seeking venture, often in a partnership (musharakah) such as a mudarabah or shirkah arrangement. rabb al-mal In the mudarabah, the investor. rahn Collateral; a pledge or the transaction which governs such a pledge. riba (lit. increase) any increase in a loan or sale transaction which accrues to the lender, seller or buyer, without the provision of an equivalent counter-value to the other party. In Islam, riba is one of the most abhorrent of all sins and is absolutely prohibited. Riba encompasses various types of illict gain, of which banking interest is one example. riba al-fadl The riba of exchange surplus. Any commodity-for-commodity exchange transaction (i. e. barter) in which the exchanged commodities are of the same type but of unequal measure, or the delivery of one commodity is postponed. riba al-nasi'ah Postponement riba. Riba al-nasi`ah is one of the two categories into which riba (see entry) is often divided by the fuqaha', the other being riba al-fadl (see entry). Riba al-nasi'ah takes place when two ribawi substances (see al-amwal al-ribawiyyah) are exchanged, one immediately and the other with a delay. An example of riba al-nasi'ah: two parties agree to exchange 10 kilos of gold for 2 kilos of silver such that the former is handed over immediately and the latter is to be delivered 2 weeks from the date the contract is signed. Another example: two traders exchange 1 metric ton of wheat for 2 metric tons of barley such that the latter is delivered after one year. rukn (lit. pillar, pl. arkan) In fiqh, an integral part of an act, such as a transaction, without which the act can not be said to have been performed. sadaqah (pl. sadaqat) Charitable giving. sahih (lit. sound, healthy, correct) said of a valid contract, opp. of bƒtil. A hadith of the highest level of authentication. salah Ritual prayer; the second pillar of Islam after the shahadah. salam A type of sale in which the full price of the goods is paid in advance and the goods are delivered at a specified date in the future. shahadah Testimony to the fact that Allah has the unique right to be worshipped to the exclusion of anything or anyone else and that the Prophet Muhammad is the Messenger of Allah by declaring, "Ashhadu an la ilaha illallah wa ashhadu anna Muhammadan rasulullah" (i.e. "I testify that there is no one or thing rightfully worshipped except Allah and that Muhammad is the Messenger of Allah). Shariah: Islamic law as revealed in the Quran and through the example of Prophet Muhammad (PBUH). A Shariah compliant product meets the requirements of Islamic law. A Shariah board is the committee of Islamic scholars available to an Islamic financial institution for guidance and supervision in the development of Shariah compliant products. 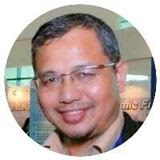 Shariah advisor An independent professional, usually a classically trained Islamic legal scholar, that advises an Islamic bank on the compliance of its products and services with the Shariah, or Islamic law. While some Islamic banks consult individual Shariah advisors, most establish a committee of Shariah advisors (often know as a Shariah board or Shariah committee). Shariah compliant An act or activity that complies with the requirements of the Shariah, or Islamic law. 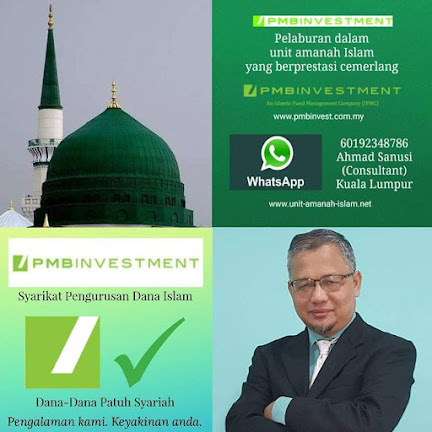 The term is often used in the Islamic banking industry as a synonym for "Islamic"—for example, Shariah compliant financing or Shariah compliant investment. shart (pl. shurut) A necessary condition, something which needs to exist or be present in order for something (like a transaction) to be valid. Also a condition or stipulation in a contract. shirkah Any contract between two or more persons in which they agree to jointly enter into a financial enterprise whose profits will be divided between them. syn. musharakah. shuf`ah The right of pre-emption in sale transactions, for example, a real estate sale in which some party possesses the right to force the seller to sell him all or part of the real estate in the event of a sale. sighah (sighat al-`aqd) Sighah is a term used by the fuqaha' to refer to the formal exchange which takes place between the contractual parties indicating their willingness to enter into the contractual agreement and therefore constitutes the contract itself. The sighah is a rukn (integral element) of the Islamic contract and essentially consists of a proposal (ijab) on the part of one contractual party and an acceptance (qabul) on the part of the other, either of which may be verbal, written or even gestural, depending on the circumstances under which the contract is closed. An accepatable sighah in a sale contract, for example, may consist of a purchaser saying to a seller, "do you agree to sell me this merchandise for this price?" followed by the seller replying "Yes." The ijab and qabul may be reversed so that the seller proposes and the purchaser accepts. Signing a written contract which details the conditions of the transaction which it governs, constitutes acceptance on the part of the signer. suftajah (Orig. Persian) A debt transfer transaction, practiced in Islamic societies since the `Abbasi period in which A, a debtor authorizes his agent (wakil) or someone who owes him a debt, to pay a given amount to C to whom A owes a debt. Suftajah is related to and may be considered a special case of the standard Islamic debt transfer transaction known as hawalah (see entry). sukuk Similar characteristics to that of a conventional bond with the difference being that they are asset backed, a sukuk represents proportionate beneficial ownership in the underlying asset. The asset will be leased to the client to yield the return on the sukuk. Sunnah The actions, deeds, affirmations and characteristics of the Prophet Muhammad. The customary practice of the Prophet which informs the life of a Muslim. takaful Islamic insurance. Structured as charitable collective pool of funds based on the idea of mutual assistance, takaful schemes are designed to avoid the elements of conventional insurance (i.e., interest and gambling) that are prohibited by Islamic law. Ulema pl. of 'alim, Shariah a scholars or jurists. urboun Earnest money. It is the amount paid by the client (orderer) to the seller after concluding a contract of sale, with the provision that the contract is completed during the prescribed period. The urboun amount will be counted as part of the price; otherwise the urboun will be kept by the seller if the buyer fails to execute the contract. usul al-fiqh Islamic legal theory. wadi`ah (lit.) Safe-keeping deposit. The standard Islamic financial transaction in which X entrusts property to Y for safe-keeping. Wadi`ah refers to the deposited property. wakalah Agency; a standard Islamic practice wherein X (the wakil) acts as the agent of Y. In this capacity X may execute the affairs of Y. Wakalah is a widely applicable phenomena in Islamic practice which is often used in financial transactions: whenever a party cannot personally supervise a given affair, it deputizes another party to execute it on its behalf. waqf pl. (awqaf) lit. cessation; A standard Islamic transaction in which one 'freezes' his property such that it is considered to have been arrested in perpetuity and can neither be sold, inherited or donated. The term waqf frequently refers to the property itself. The use of a waqf (e.g. a park) is often dedicated to the relief of the poor, the public at large or other charitable ends. wasiyyah Will, testament, bequest. The statement of a Muslim in which he details the manner in which his wealth is disposed of after his death. zakah literally, it means blessing, purification, increase, or cultivation of good deeds. In Shariah, it is an obligation in respect of funds paid for a specified type of purpose and for specified categories. It is a specified amount prescribed by Allah the Almighty for those who are entitled to Zakah as specified in the Qur'an. The word Zakah is also used to indicate the amount paid from the funds that are subject to Zakah.